The first step is to evaluate where they are making mistakes. Watch them carefully as they write. Do they just make the letters incorrectly or do they go too quickly? I have one son who simply writes too small and you can’t make out what it says. If you are not sure, check with the teacher. Maybe he or she has an idea of what is causing the trouble. Often, no matter the trouble, improving your child’s handwriting just takes repetition and practice. If your child has bad handwriting, it usually means it is something that he does not enjoy. If your child is older, he may have already developed a lot of bad habits when it comes to the formation of the letters. It may be a situation where you have to let that part go and just work on legibility. The key to repetition and practice is to find ways to keep your child writing without having to pull out handwriting worksheets. Now, this doesn’t mean you can’t use worksheets. If you don’t want to purchase a handwriting workbook (and there are plenty to choose from), there are websites you can use to print your own at home. Just do a search for free handwriting worksheets and you will find a lot of print-at-home options. If your child enjoys reading, have him write a brief summary of a book or chapter when he finishes his reading. Encourage that he write in his best handwriting. He will be reinforcing his comprehension skills and handwriting all at the same time. If you go on a vacation, encourage your child to take along a journal to write down their favorite moments. You can take along stamps and have him write postcards to friends and family at home. You can also encourage your child to keep a daily journal, allowing time to write down their thoughts and feelings, and any fun and exciting events that come along. My children love to scrapbook. This is a great way to get in a little handwriting practice. I save extra photos that I do not use in my own album and the kids use them on a page of their own. I can then give them a lined piece of paper and they can write a small paragraph explaining the event that they are sharing. Write a poem together. Choose a different poetry style each time and come up with a poem that your child can write down. If it is something he enjoys, keep them together in a folder or booklet. Have your child write out your weekly grocery list. If your child likes to draw, always encourage the writing of a sentence or short paragraph to describe the picture. Don’t feel like you need to have your child write a novel to improve their handwriting. Take advantages of situations where he can write in small increments. Try and use lined paper whenever possible, because this is what will be used in school. 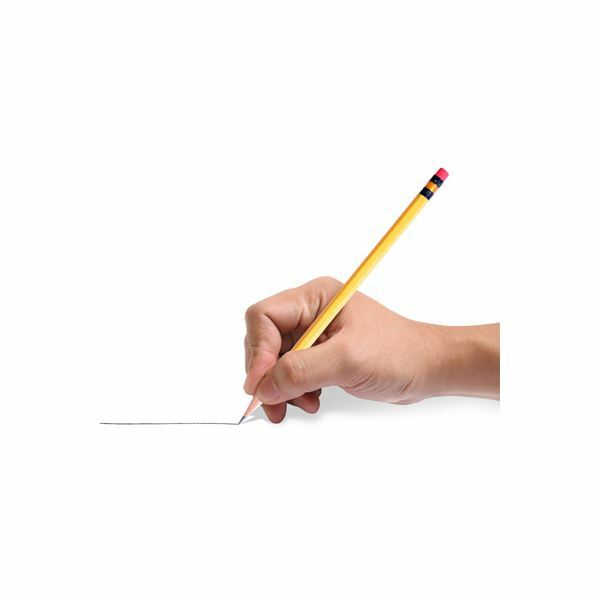 Be sure to use paper that matches what is used in school as well, whether it is college or wide ruled, or just basic handwriting paper. If teachers require that students write in pencil, then be sure to use pencil. If students are allowed to write in pen, then you can suggest that as well. Remember, these tips for improving your child’s handwriting all revolve around three key components – repetition, consistency, and following the example being set in school.